You wanted more... the boys have announced new shows and are extending their Larger Than Life Las Vegas residency! *regular concert tickets and premium Ticketmaster ticket packages will be sold on the local ticketing system (Ticketmaster). Current and paid fan club members will need a unique password to participate in this sale. This password can be found in their account dashboard at 9:50am PDT on 6/10/17. *premium Ticketmaster ticket packages DO NOT include a Meet & Greet with BSB. 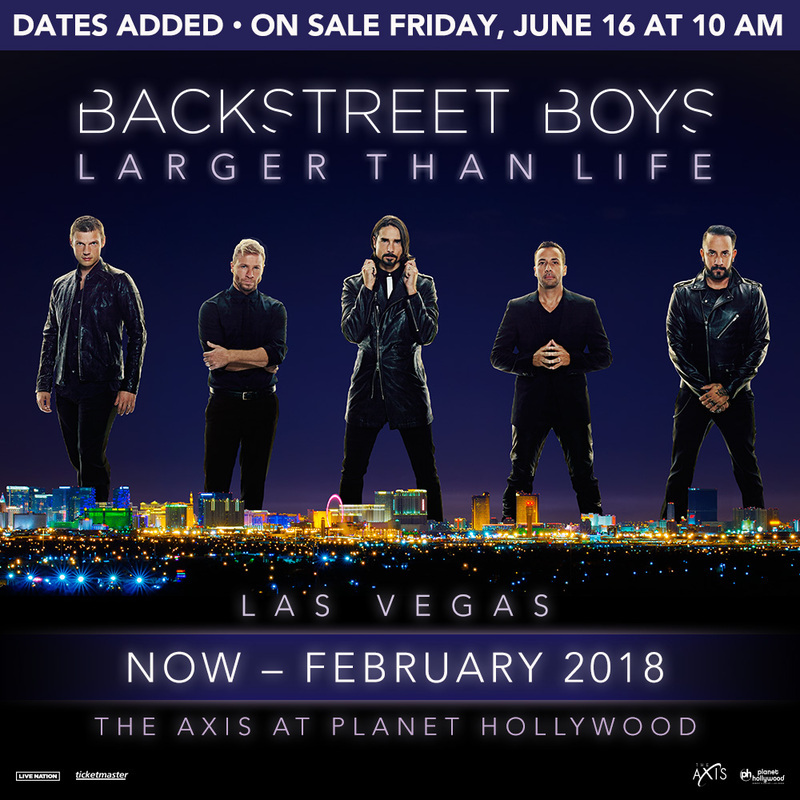 *VIP upgrades will be sold via backstreetboys.com/events. Current and paid fan club members will NOT need a password to access these offers. They just need to be logged into their account before the sale begins. *VIP Upgrades DO include a Meet & Greet with BSB. To find out what time 10am Pacific is in your timezone, click here. Questions? Contact fan support here.